Our compatible Canon BCI-11C tri-color ink cartridge replaces the Canon BCI-11C inkjet cartridge. 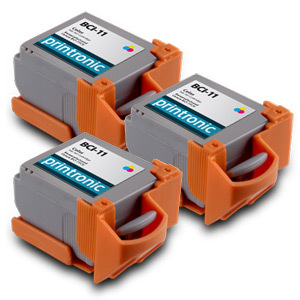 These cartridges are sold as a three pack and are used by the Canon BJC series inkjet printers. Our compatible Canon BCI-11C tri-color ink cartridges come with our 100% satisfaction guarantee.